Looking for the perfect gift for any occasion? 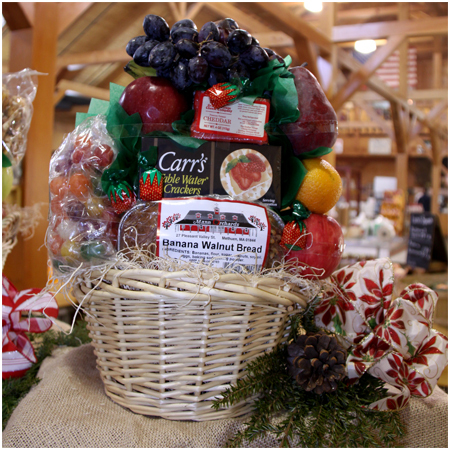 Our gift baskets are guaranteed to please, offering an assortment of fresh fruit, gourmet food items and even fine wine. Shop our selection below – and keep in mind that custom gift basket orders are always available! 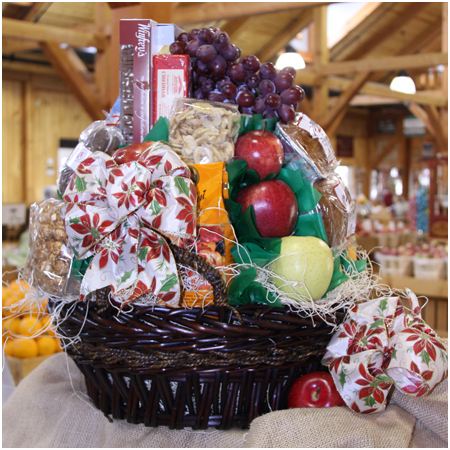 Delivery of the gift baskets is also available within a set geography – please call us for details. Please note: All contents subject to change due to availability. When ordering recipient’s address and phone number are required for the delivery of a basket. Come in or call to order yours today! 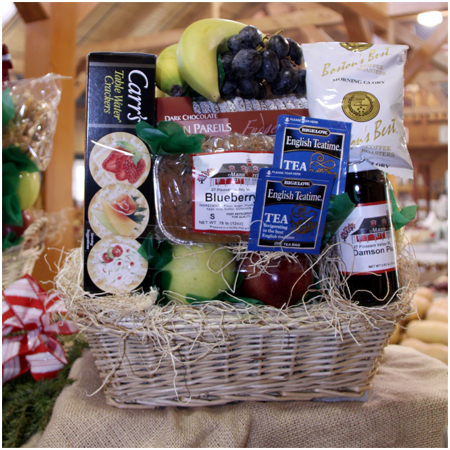 There is only one word that properly describes our gourmet food baskets – delectable. 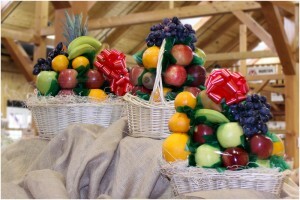 They feature a delightful combination of fresh fruit and gourmet food items. All of the Mann Orchards gift baskets can be upgraded to include a bottle of wine of your choice from our wine shop, making them the Cream of the Crop. These ultimate gift baskets may be perfect for your next event or occasion. A thoughtful alternative to flowers and other hand-delivered items, our Cream of the Crop baskets have become extremely popular as hostess, corporate, anniversary and even wedding gifts. Who can resist a basket brimming with gourmet goodies and a bottle of wine? 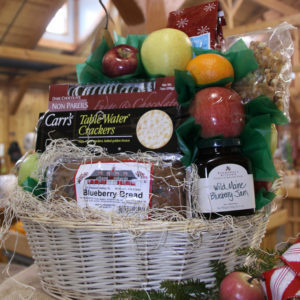 Simply walk in or call and ask to be connected to our Gift Baskets department – our friendly staff will be more than happy to help you select the perfect Cream of the Crop basket!